AUSTRALIANS are going to restaurants, pubs, clubs, and quick service outlets more than ever before, making the foodservice market an appealing investment to entrepreneurs. Here business broking professional Faye Ferris weeds out what’s hot and what’s not, and where the opportunities lie. The foodservice market produced a revenue of $A79 billion in 2017, and is expected to record an average of 5.1 per cent compound annual growth rate (CAGR) from 2018–2023. Now that should leave you with something to chew on! Research shows that in the last two decades, Australians have made eating out a way of life. With just over 24 million of us, we’re eating out an average of two to three times a week. That’s more than 50 million meals each week! According to Australian Foodservice Market Insights, opportunities in the foodservice market are on the rise. So if you’re interested in a lucrative business opportunity, you may want to check out the ever colourful culinary world of restaurants. Although the food industry may be booming, there’s a lot that goes into running a successful restaurant and earning your piece of the proverbial pie. So, let’s take a brief look at some of the rising trends gaining traction in the industry. First, it should be of no surprise that the success of your foodservice business will be affected by the ever-changing dietary trends that reflect the culture and taste buds of consumers everywhere. However, there is one constant you can count on in this industry: people will always need to eat! It’s just what, where, and how they’re eating that you’ll need to pay attention to. Healthy food is here to stay. The growing concern with obesity and other health issues such as food allergies and sensitivities has created opportunities for restaurants that can deliver fresh, natural food solutions. Consumers are increasingly booking their reservations online, perusing the menu items, and reading through online reviews for recommendations. It is essential for your restaurant business to have a professional website that gives your patrons the same first impression they would receive when walking through your doors. Consider adding your restaurant to other apps and websites that offer this service. A recent report from Morgan Stanley reveals an expected growth of nearly AUD $2.4 billion by 2025 in the food delivery service industry. People’s busy lifestyles and schedules are a huge part of the driving force behind this rapid growth. Some of the tried and true foodie favourites like Chinese and Italian are declining in popularity; while modern Australian and healthy eating are on the rise. The consumer’s desire for speed and convenience makes the takeaway restaurant a continually growing industry. Again, our society wants to live healthier, stronger lives, and they’re choosing food that fuels that goal. So in order to thrive in this present culture, takeaways are offering healthier alternatives through both ingredients and “cleaner” menu items. 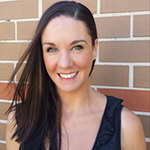 ABOUT THE AUTHOR: Faye Ferris is the APAC Sales and Marketing Director for BusinessesForSale.com, one of the world’s largest online global marketplaces for buying and selling small-to-medium sized businesses. Faye is passionate about helping Australian small business succeed and regularly writes about entrepreneurship and business management.